With no fewer than six players going into the final round tied for first, it was a small miracle that the 71st Corus Chess Tournament got only one winner. While the other pretenders cracked or failed to make any headway, Sergey Karjakin kept his cool and meticulously showed that sometimes defence can be the best attack. The Ukrainian, who celebrated his 19th birthday only days before he arrived in Wijk aan Zee, became the youngest sole winner in the rich history of the first super-tournament of the year. We bring you an extensive report from the windswept Dutch seaside, with all the drama of another memorable fortnight and lots of captivating games. And we make an attempt to explain the secret of Karjakin's strong-willed and determined performance. It's no news that the leading chess players in the world are getting younger and younger. Yet, this trend was rarely seen demonstrated so vividly as at the 71st Corus Chess Tournament. While 19-year-old Sergey Karjakin became the youngest outright winner of the main event, the B- and C-groups fell prey to 16-year-old Fabiano Caruana from Italy and 15-year-old Wesley So from the Philippines. And there were two prodigious 14-year-olds who caught the spotlight, China's Hou Yifan, the youngest girl ever to become an IGM, and Russia#s Anish Giri, who completed his final GM norm in Wijk aan Zee. Genna Sosonko waxes nostalgic as he remembers the days when playing chess and having a smoke were natural allies. He arrived in Gibraltar dreaming of bowling, batting and wickets, and when three days of cricket bliss came to an end his only worry was if he could successfully switch back to chess. His doubts were quickly dispelled. Playing inspired chess Peter Svidler finished shared first and next comfortably beat Vadim Milov in the play-off to claim the £15,000 first prize at the 7th Gibtelecom Chess Festival. A report by the Russian champion himself. A draw in the last round sufficed for Alexander Onischuk to take clear first place in the Moscow Open and claim the 500,000 rouble first prize. Translated into dollars the American grandmaster took home close to $14,000, an amount that would have hovered around $20,000 only six months ago. Some years ago, a chance holiday in Queenstown gave GM Murray Chandler an idea – the 'perfect tournament in a perfect venue'. With the second Queenstown Classic he came pretty close. Jan Timman looks at the Corus B-group, which on paper was even stronger than many A-groups of the past. On December 6 of last year, Albin Planinec died at the age of 64. In his best years the Slovenian grandmaster was one of the most creative minds our game has ever known. 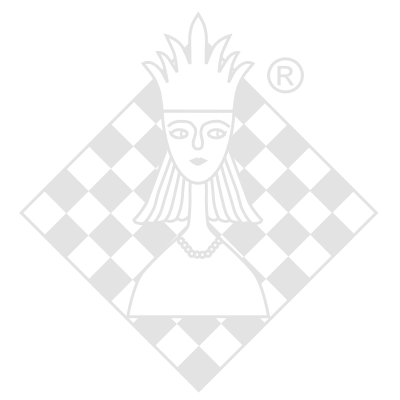 Inspired by a new book on the subject Hans Ree writes about the history of blindfold chess. Does Jan Gustafsson believe that poker players would make good chess players?